Everyone who played The Witcher series knows the card game Gwent. It got so popular among fans that multiple standalone Gwent games were developed, which you can play and enjoy even without any previous knowledge of The Witcher’s lore. The PC, PlayStation 4 and Xbox One versions of GWENT: The Witcher Card Game were officially released on October 23, 2018, as free-to-play games. Today, the creators of The Witcher series CD Projekt Red announced that the game will get an iPhone version later this year. Unlike Thronebreaker: The Witcher Tales, which is a standalone Gwent title focuses on single-player experience, Gwent: The Witcher Card Game’s main mode involves multiplayer, whether its a casual or a ranked match. You could play against AI to some extent, but it’s not the main focus whatsoever. On that aspect, it is still unknown whether there will be cross-platform play between the mobile version and PC, Xbox One or PlayStation 4. The PC and console versions have an in-game store where you can purchase new cards and decks. Players claim that the grinding to get new and better cards isn’t so bad and much more rewarding than that of Hearthstone, for example. Expectedly, the same will apply to Gwent’s mobile version. Bringing Gwent: The Witcher Card Game to iOS and Android devices feels like a smart choice by CD Projekt Red. Gwent is a game people would prefer to play anywhere they can, but mostly on the go; that’s at least my experience. 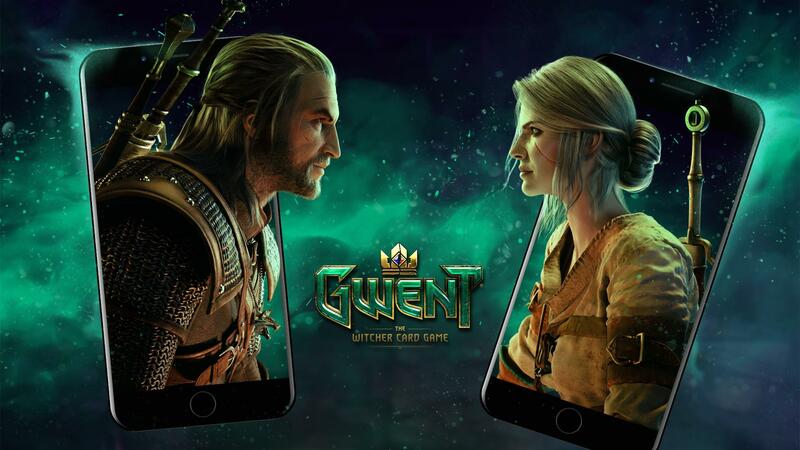 Gwent: The Witcher Card Game is coming first to Apple’s iOS. Details on the Android version will be announced later on.